1999. By Ronald Dale Karr. 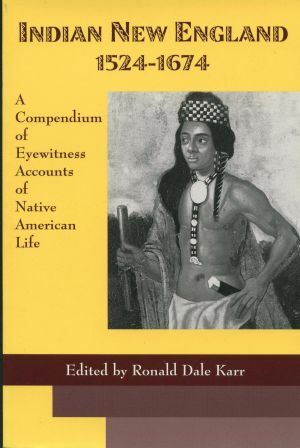 An illuminating collection of firsthand descriptions of Native Americans and their way of life in pre-colonial New England. Book features journal accounts and excerpts from letters and travelogues by some of the earliest European settlers and explorers of the New England region. Softcover. 160 pp.